It was built for Haci Uveys bin Kayser at the end of 15th century. Haci Uveys bin Kayser’s, who lived during the sultanate of Fatih Sultan Mehmet, being the benefactor of the mosque is understood from the Foundation records. 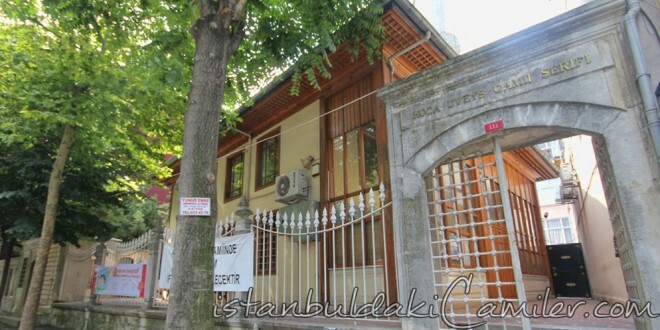 Although sometimes he is confused with Hoca Uveys Pasha, the benefactor of the mosque is Haci Uveys bin Kayser. Its minbar was built for Ahmet Aga of Bosnia who was an agha of Saade gate. It was completely destroyed in the Great Fire of Istanbul together with the tomb of Cesnigir Osman Aga which is next to it. The mosque and the tomb were rebuilt in line with their original condition in 1992 by the Foundation of Hirka-i Şerif. Hoca Uveys Mosque has an oblong design with a tiled roof. Its minaret is of plate stones with a single balcony. Its mihrab and half of its inner walls are decorated with Kutahya encaustic tiles. Its minbar, rostrum and back sections are made of wood. In its threshold there is a well widening downcast. A cultural centre is built under the mosque that serves with various art and science courses.